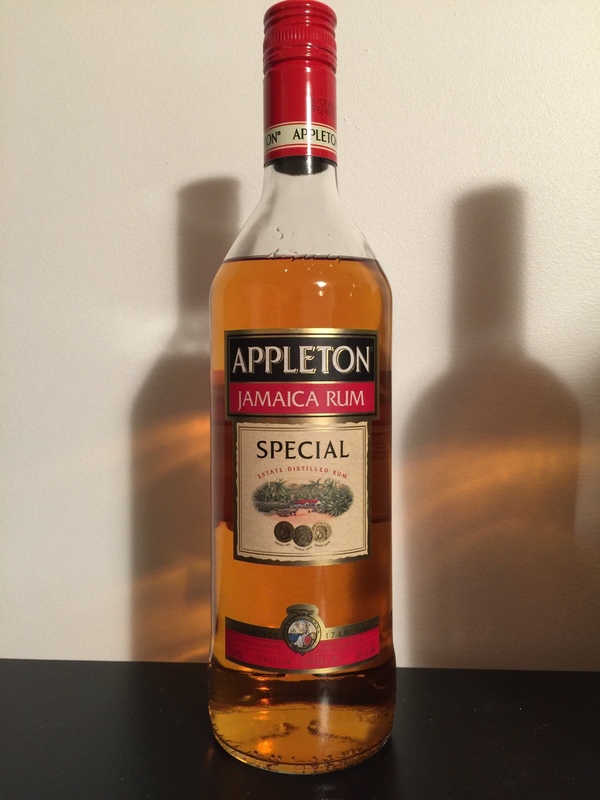 Have you found an online vendor selling Appleton Estate Special Gold? Appleton Estate Special Gold rum is made using column and pot stills. The rum is then aged in Jack Daniel’s whiskey barrels and hand-blended. The Special Gold Appleton brand is said to have been first blended during World War II as a substitute for whiskey, which was at the time difficult to find. Is my absolute favorite drinking rum... so smooth. Love to have this after a long day of work. Very smooth easy to drink I prefer it straight . Rich I taste and yet affordable to drink . I have drank Myers dark rum for yrs but I just tried Appleton Special Gold and was very impressed with the taste and price . I keep a bottle around to accompany my Mount Gay Eclipse. Pretty basic rum with good flavor and great price. Really good Golden Rum and less than $20 a bottle where I live. If you have a few extra dollars I would definitely buy one of the aged Appleton rums, but this my favorite gold rum. Only gold rum that I consider a sipping rum. This is what I would consider to be standard rum. Made in Jamaica, a little bitter by itself, mixes great. Quaffable when mixed or blended. A go to for a daquiri or cocktail. Not sure I would sip it. Perhaps over ice with soda. It's not the best rum I've ever had but it is one of my favorites. Mainly because I only drink it when I'm in Jamaica. It's not the smoothest of rums but mixes well with just about anything. Very nice spiced rum, fragrant, smooth, mostly for cocktails or drinks, but it can also be enjoyable on the rocks. The price was nice before (8 EUR), but nowadays the price tag is just unreasonably high. I rather keep my 14 EUR for other bottles. Enjoyed some of this at a family gathering it may have been an older bottle because alcohol content was 43% have not been able to find it over 40% now. Enjoyed it mixed.. Honestly not much difference between this and Bacardi gold in coke. Buy if you want your bar to look a little nicer maybe haha. Makes a nice rum & coke, but not much more to offer. Can taste a slight hint of Jamaican funk, which mixes well with the sweetness of coke. If you are looking for a "gold" mixer, or a good jamaican style mixer this is a great option. It does have its own specific flavor that seems to generate love or hate, but I find that for a well rounded Tiki collection this is a great option. As entry level rums go, you could do A LOT WORST. This special rum is perfect for mixing if you want to still taste the flavour of a Jamaican styled rum in your mixed drink. Aromas of caramel, spices, toasted wood and a hint of rubber. A medium finish of burnt caramel, toffee, with hints of banana and brown sugar. Not the best from Appleton, but neither is it the worst. It has a real rum aroma that promises slightly more than it delivered. Smooth enough to drink neat, but made a great rum and coke. For the price it’s fine however you take it, neat or mixed. A little bit sharp, but tasty rum, to drink on the rocks or mixed. I tasted yesterday, a bar nearby home of my parents. I thought it was much worse, and instead I have to say I was surprised. It is a decent golden rum...nothing special of course, but not bad. Not a huge fan of this rum straight up. Better mixed but I'd do the 12 yr. all day. À première impression, ce rhum est décevant. Puis on goûte des notes plus complexes avec sa longueur en bouche. Des notes de vanille et possiblement de whiskey. Une saveur que j'apprends à apprécier avec le temps. On le vendait 45USD en 2014. Another supermarket average rum. Nice enough mixed but not ideal neat. Its a good rum, but I prefer other rums. Its too sweet!